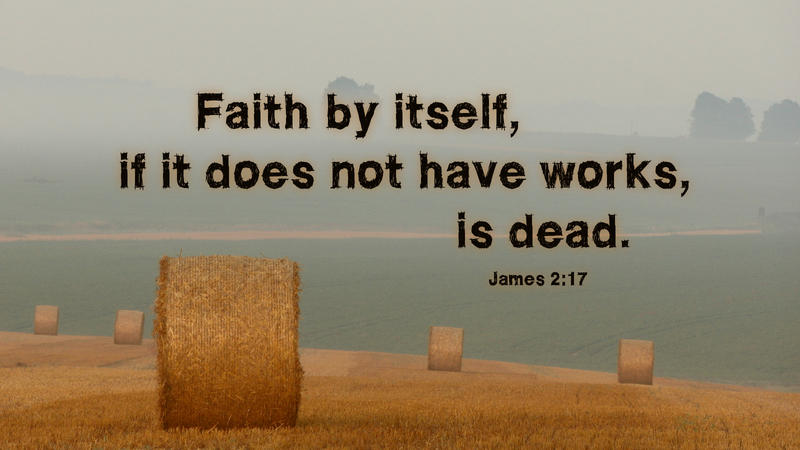 What kind of faith do you have? Is it the kind of faith that kindles faithful works? Real faith does just that, but here we need to be careful. Sometimes—indeed, too often—people point to their works and think something like, Surely, God favors me because I have done these things. Yet, there is an equal and opposite error that removes faithfulness from faith, where mere religion is considered to be faith. People also think, in effect, Surely God favors me because I know what I am supposed believe. This is the kind of religion that Jesus condemned in the Pharisees (Matt 23:1-6). He wants us to have a living faith. Though we are very careful to insist that faith in Christ saves, nonetheless, the right kind of faith has works. See the great work Solomon did, building the temple. But the building of the temple did not redeem the king. See how Peter denied Christ three times, lacking the appropriate confession, yet keeping his faith, as his tears showed. Tears of sorrow and repentance are also works of faith. Prayer: Thank you, Lord, for giving me faith in you. Amen.